The Wood Brewery was founded by Edward Wood, his brother and his father in the outbuildings of the Plough Inn in Wistanstow, Shropshire in 1980. The Plough was built in 1774 and was bought by the Wood family in 1968 from the Wrekin Brewery. The brewery was one of the early players in the real ale revolution that revived the flagging fortunes of traditionally brewed beers as they faced the tidal wave of gas-pumped keg beers appearing in pubs nationwide. Four decades later the brewery still operates on the same spot, but has expanded to produce the wide range of Woods beers that are available in pubs and shops across Shropshire and neighbouring counties. 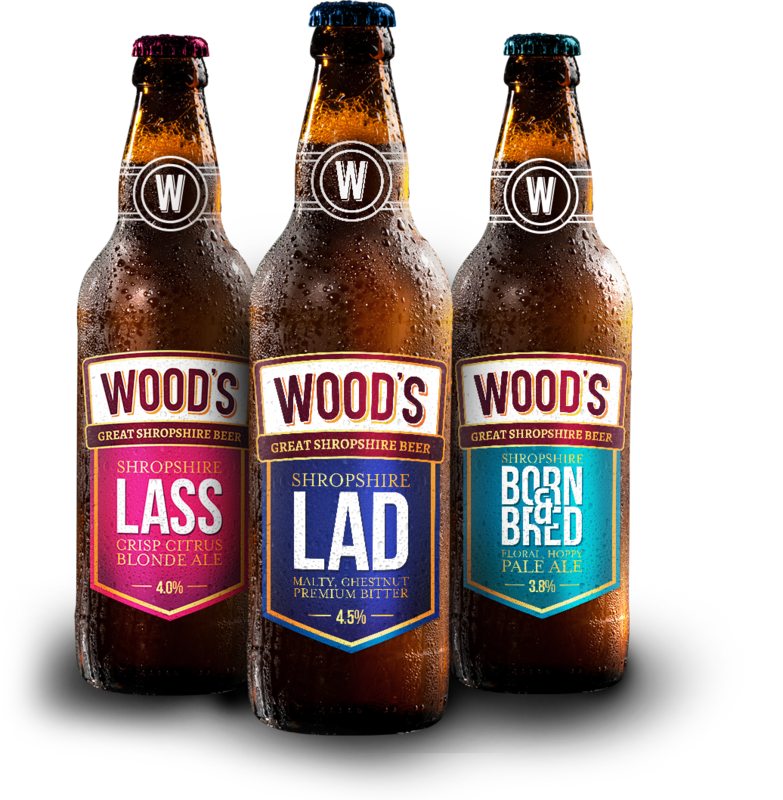 Wood’s is proud to produce a range of traditionally brewed beers to appeal to a wide variety of palates. Each beer gives you a real taste of Shropshire, our home. Most of our beers are available in cask and by the bottle. The careful delivery to the network of pubs and shops that sell our beers. We have two pubs on the site of the brewery – The Plough Inn which dates back to 1774 and the much newer Brewery Tap. Both pubs sell our great cask ales and also a range of other beers – regular guest cask ale, Ironbridge craft beer and also national and international beers. We also have a wide selection of wines and spirits. Both pubs also serve food all day. 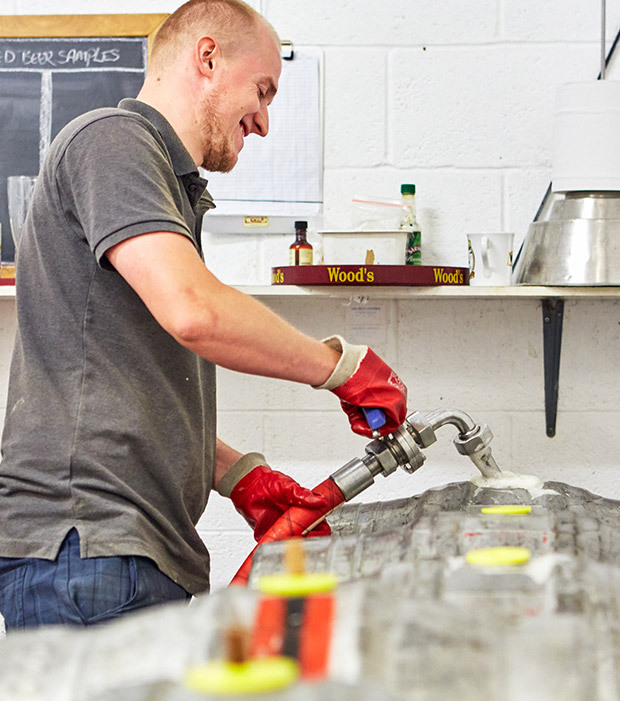 We are a cask ale brewery in the tiny village of Wistanstow, Shropshire near the small town of Craven Arms, which itself is close to the larger market town of Ludlow, just on the English side of the England – Wales border. You can find our Great Shropshire Beer in good pubs and shops all over the county and beyond, or you can come and join us in our on-site brewery tap to sample a few of our locally brewed ales. For the trade we deliver directly to pubs and stores within a 50 mile radius of the pub.